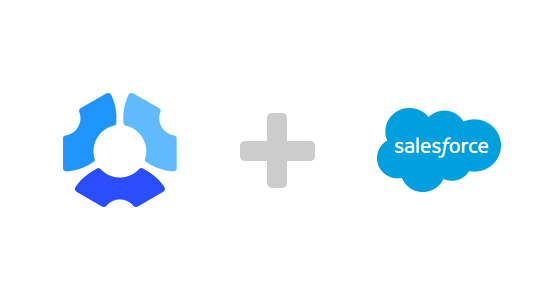 Your team can quickly install the Hubstaff application and start tracking exact time spent on their Salesforce tasks. You can see what tasks they work on and how active they are. 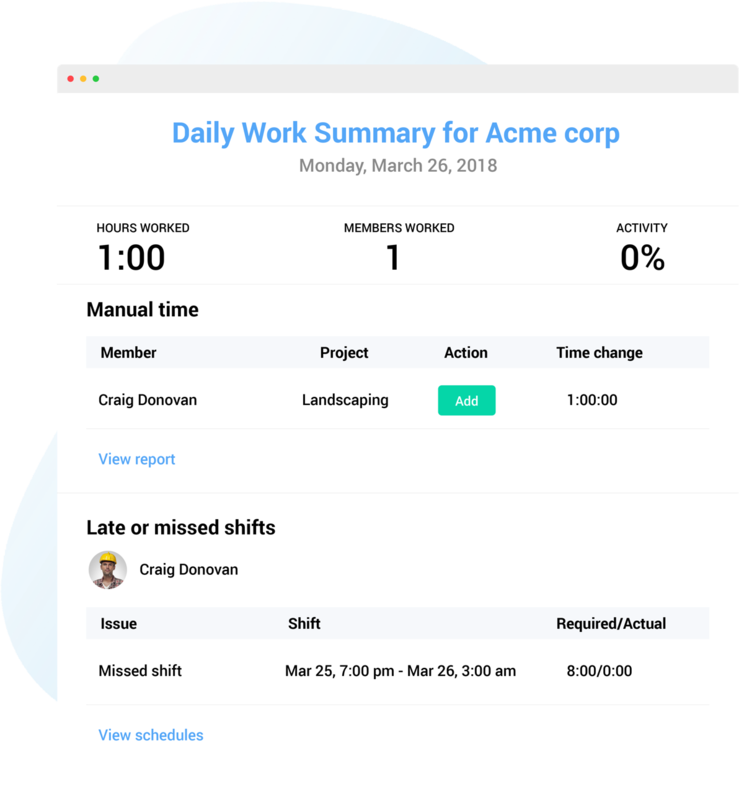 Not only does Hubstaff allow your team to track their time spent working on their assigned Salesforce tasks, it also lets you see what they're working on. 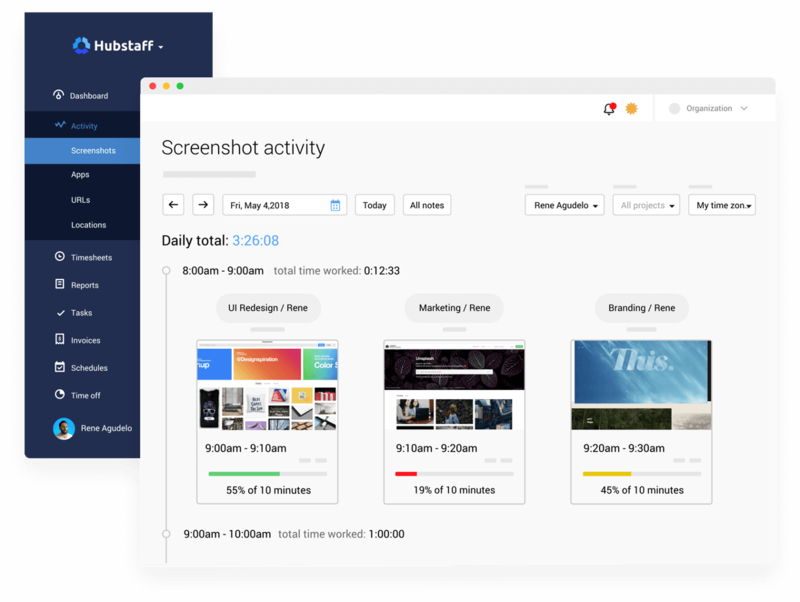 The random screenshots and activity levels that Hubstaff takes will ensure that your workers are as productive as possible. 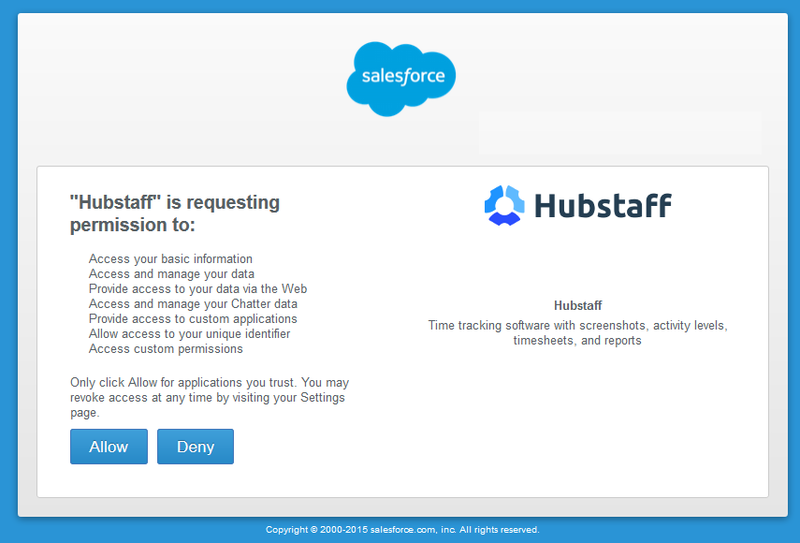 Simply grant permission to Hubstaff to access your Salesforce account and the integration will remain updated. Whenever you assign new tasks to your team in Salesforce, they will be pulled down by Hubstaff when the integration syncs. Your team will be able to focus on their work and not need to worry about manually bringing in their tasks. Some tasks and clients require notes describing the work being done. Your team can enter notes directly into the Hubstaff app or in their accounts. The notes they add will be visible in the automatic Hubstaff reports that are generated. Let your team track exact time against their assigned Salesforce tasks. Connect as many or as few users are you need to in the Hubstaff integration. Manual time, screenshot blur, activity levels, idle timeouts, and more. 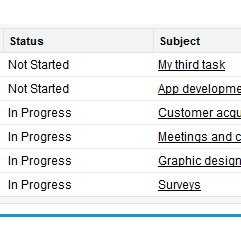 Hubstaff's automatically generated reports save you the trouble of manually recording time spent on Salesforce tasks. You'll always have records and remain organized thanks to Hubstaff's cloud storage and filtering. Export or email the reports to all that need to see them with exactly the information they need to see. Salesforce is one of the most powerful CRMs on the market. By using Hubstaff's advanced time tracking to measure your team's time spent on tasks, you'll have even more control over your business. Sign up for Hubstaff today and get the integration started immediately.